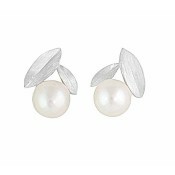 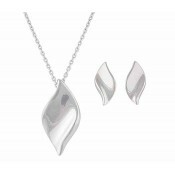 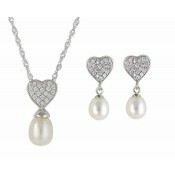 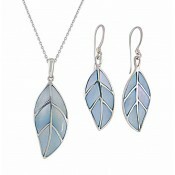 The perfect way to complete any outfit, this silver jewellery set is one you're sure to adore. 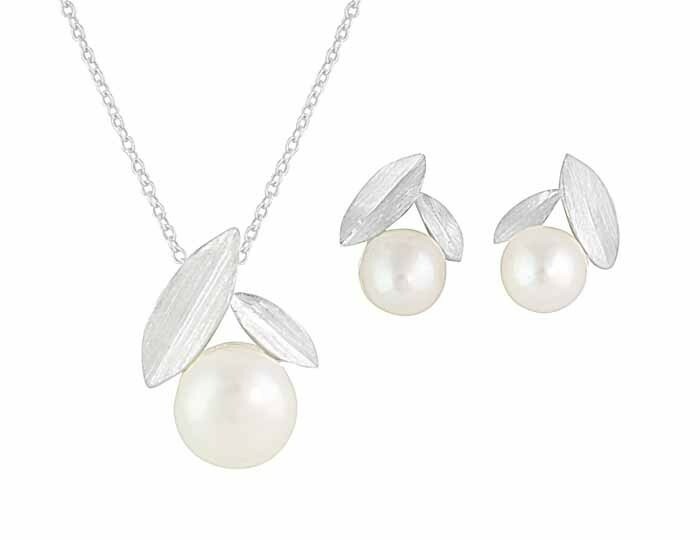 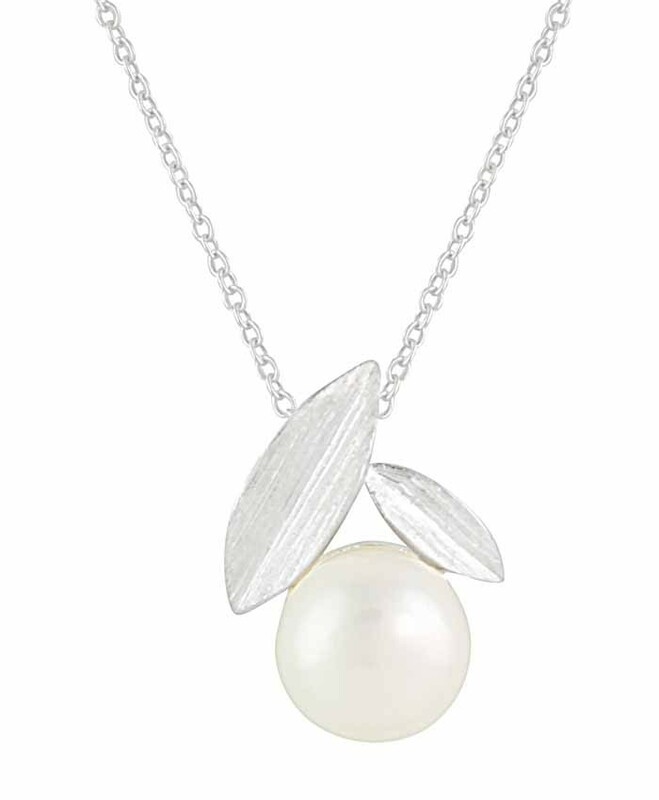 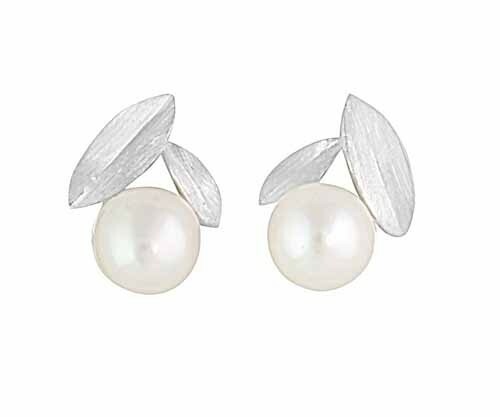 Featuring a single Freshwater Pearl with its luminous sheen, both the necklace and stud earrings are also adorned with two leaf charms. 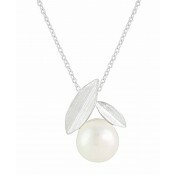 Brushed to an organic texture, they work together to create timeless beauty.